How to Apply for Birth Certificate in Delhi ? Home / India / Govt Documents / How to Apply for Birth Certificate in Delhi ? A Birth Certificate is the most important proof of your Date of Birth. Usually the details like your Name, Father’s Name, Mother’s Name, Date of Birth, Citizenship, Address etc. are mentioned on the Date of Birth Certificate. Know how to change your Date of Birth & Other Details in a Pan Card ? Procedure to file an FIR Online for Lost Documents in Delhi ? One must keep in mind that every Birth has to be reported within 21 days of its occurrence whether (a) the birth has taken place in the house, OR (b) the birth has taken place out of the house. (1) In cases where the birth of the child has taken place inside the house, a written letter has to be submitted by head of the house or the nearest relative of head of the house or the oldest member of the house. (a) For all births in a Hospital/Health Centre/Maternity Home etc. : A letter from the Medical In charge or any other authorized person. What is the Procedure to apply for a Birth Certificate in Delhi ? 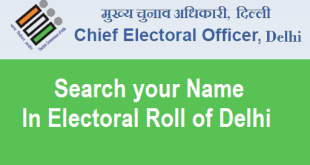 There are some local bodies in the state of Delhi which issue the Birth Certificate. These bodies are MCD, NMDC & Delhi Cantonment Board. A Birth Certificate is issued by the respective body within 7 days of the receipt of the duly filled Application from the applicant. The Birth Certificates are issued from the concerned registration centres/Zonal Offices of the local bodies. An applicant gets a Single Copy of the Birth Certificate free of cost. Additional copies of Birth Certificate can be obtained by paying a nominal fee of Rs.5/copy. There are a total of 188 centres in MCD out of which 137 Centres are Urban, 51 and Rural. There are a total of 9 Centres in NMDC and 1 Centre in Delhi Cantt. Registration of Birth for Delhi Cantt. is being done at the Registration Centre located in the Cantt. General Hospital. Where to go to register a Birth Certificate & What are the Timings ? Where to go ? : To register a Birth of a Child, you need to visit to the office of Sub Divisional Magistrate in the respective jurisdiction where the Birth took place. (1) Application by the Applicant or nearest Family member on a plain piece of Paper. (4) Copy of Ration Card(If available). (5) School Leaving Certificate of the Applicant (It must show the Date of Birth). (6) Do not forget to Attest all the above mentioned documents by a Gazetted Officer. (1) You can also register a birth after 21 days but before 30 days of occurrence on payment of late fee. (2) You can also register a birth after 30 days but before 1 year of occurrence after obtaining written permission from the Registrar and on payment of late fee. (3) You can also register a birth after 1 year of occurrence after obtaining an order from the Area Magistrate (i.e. SDM of the first class or a Presidency Magistrate) and on payment of late fee. As soon as the Application of the Applicant is received, a draft order is made and is send to the respective police station for Verification purpose. (Note : If you are providing a School Leaving Certificate then no verification will take place). If a positive verification report is received from the concerned police station, an order is issued to the Local body for the registration of Birth. It usually takes about 21 days for getting a response from your Local Body. How to Change your Aadhaar Card Date of Birth ? How to Change your DOB in CBSE Marksheet ? 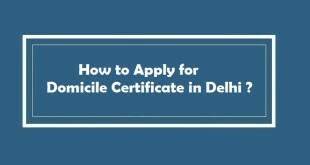 How to Apply for Domicile Certificate in Delhi ? 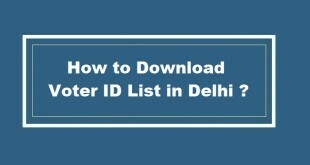 How to Download Voter ID List in Delhi ? Firstly, Nice Information on your site. Issue: Recently my wife changed her name (all processes done newspaper etc..) now we want to change the old name mentioned in child birth certificate to new one, do you know the procedure.